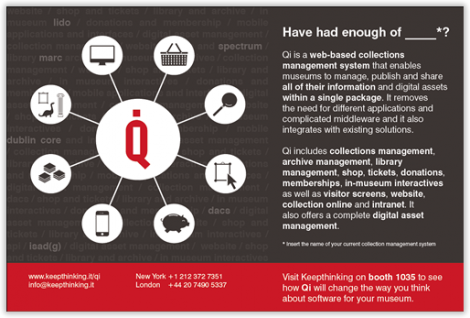 Keepthinking | Content/Collection Management System & Digital Design for Museums | London & New York | News | Exactly the way you want it! Qi 5.2 (released today) adds new functionalities and bug fixes to the most modern and flexible content, collection, information and digital asset management system on the planet. Version 5.2 represents another major step forward from the previous version (5.1) released in October 2012, and integrates features requested by our customers, as well as new ideas that we are sure you will enjoy. We have completely re-written our previous configuration module to be even more comprehensive and secure. Qi now allows you not only to modify existing fields, but also to create entirely new nodes and types, including content, lists and relationships, whilst making sure you are not accidentally deleting important data. Nodes. As Qi customers know, nodes are among the most important features of Qi: they allow a repository to be divided into multiple sections. Qi 5.2 allows you to create new nodes as well as edit existing ones. Types. 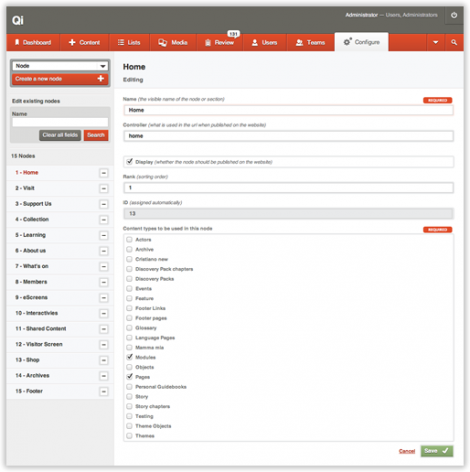 Content types are at the core of Qi's flexibility to let you specify exactly how you want to manage information. 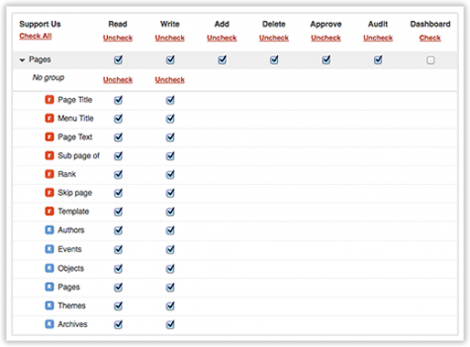 Qi 5.2 enables complete control of new and existing types of content. 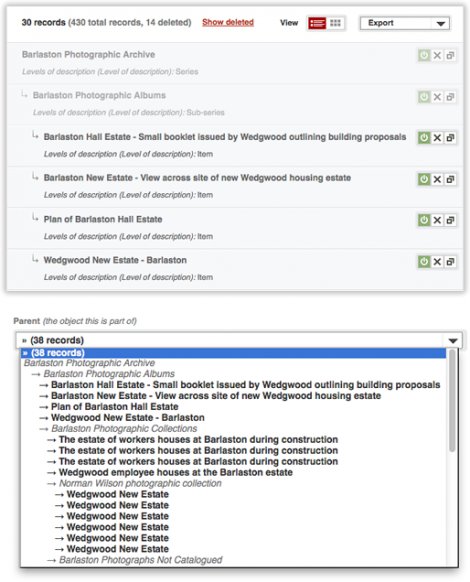 You may add, remove and rename types as well as any of their fields and relationships. Public and private fields. This is entirely new: for each type, you may now decide which fields and relationships are public and which are private. Private information will not be published on your website, or through the API. Online and Offline fields. You do not need a field any longer or just temporarily? Just put it offline for as long as you need, so your editors won't see it, but you won't lose the information in it, for historical reasons. Tabs. Tabs have been completely re-written and may now include relationships. This is a very popular request and a highly anticipated one: you may now establish exactly who can see and modify not only entire types of content, but also each and every individual field and relationship, for any type of content, on each node. 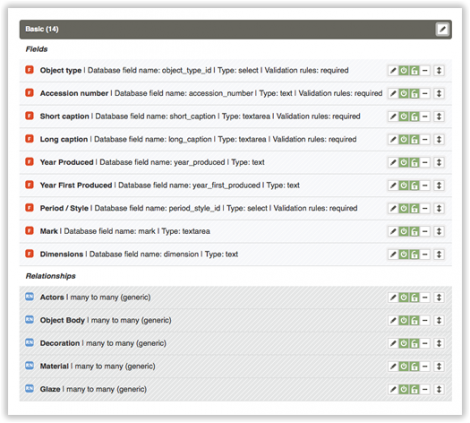 Qi 5.2 extends team permissions to include who can see each field (read) and who can modify it (write). This allows you to create entirely customised interfaces for each working team, to show each user only the information he or she needs to see and work on. While we are working on a completely revised search functionalities for Release 5.3, Qi 5.2 already allows you to specify if you only want to see draft or offline records, as well as if you are only interested in your own content. 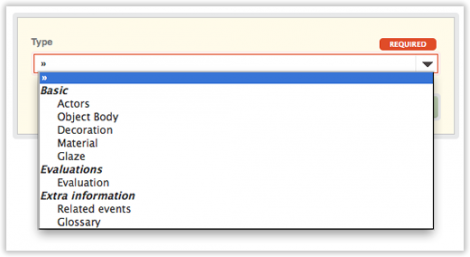 The next Release 5.3 will add Boolean Searches and the ability to search across every field independently, irrespective of configuration. As our customers already know, Qi has been conceived with two very important ideas in mind: flexibility and integration. When prospective clients ask us if Qi is compatible with a particular standard, we find it difficult to reply - because Qi is compatible with every standard. I fact, a standard is in most cases a set of fields and relationships and Qi can support anything that a database can (which is absolutely everything). Qi exists in bespoke configurations as well as in standard-compliant ones, including Dublin Core, DACS, LIDO and SPECTRUM for collections management. Even if you choose one standard and the main set, Qi can export data in other standards as well. On some instances, though, standard compliance is not just a case of having the correct configuration - it also involves user experience and interface design, which is another one of Keepthinking's skills. This is for instance the case with archives, which typically need to have hierarchical structures and the ability for archivists to catalogue each node of the hierarchy independently. Qi 5.2 implements the ISAD(g) standard for Archives and makes working with hierarchies a joy. Other standards are of course available. Starting with Qi 5.2 we have now revised and finalised the Qi pricing model to includes two options. Self hosted. Perpetual, non exclusive license for Qi to be installed on your own server, where you are responsible for hosting, disk space and backup. Software as a service (SaaS). All-inclusive formula, including Qi license, hosting, backup and maintenance on a quarterly or annual contract. Prices are available in GBP, USD and EUR. Please get in touch for more information. Smaller, but important new features involve the creating of an automated upgrade script that takes care of migrating from earlier releases of Qi to the most current version as well as the ability to undelete removed users and teams. 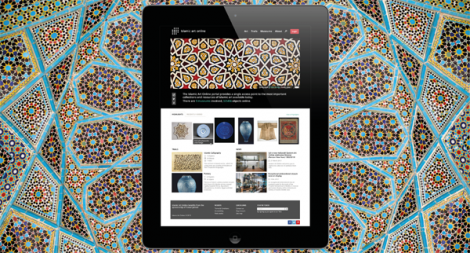 We will be exhibiting at the AAM show (American Alliance of Museums) in Baltimore (MD) from the 19th to the 22nd May 2013. Join us at booth #1058 us for a demo, a chat or a glass of Prosecco! Qi 5.2 included us working on 168 issues. This is the list of the most significant bugs that have been fixed with the current release. ... and another few we are working on now.